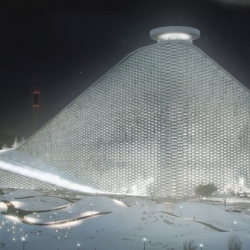 Danish architecture firm Bjarke Ingels Group has unveiled a design for a waste-to-energy plant that features an artificial ski slope on the roof. 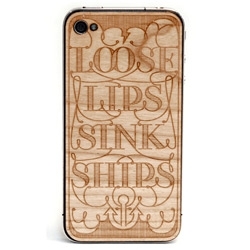 Attak from Netherland partnered with Lazerwood for this limited edition 'Loose lips sink ships' real wood iphone cover. 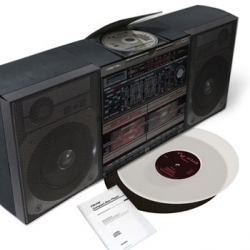 Great packaging of the new Graf Orlock LP - the packaging folds into a full size boombox. 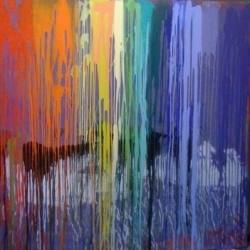 New art work from up and coming english painter "Rama Ramski". 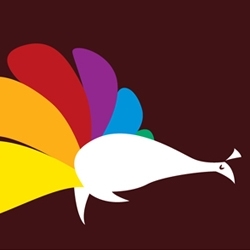 'The retirement of the NBC peacock' - a picture story by Ben the Illustrator in reaction to the corporate rebranding of NBC, losing the iconic peacock logo. 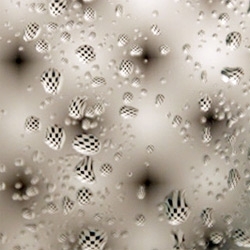 FEATUREDCheckered Droplets in the shower at Morgans Hotel... the mesmerizing upside to the painfully over-tiled bathrooms? 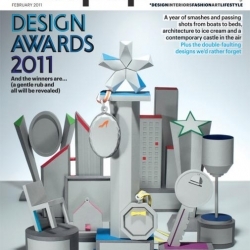 Kyle Bean designed and constructed a series of trophies for the Wallpaper 2011 Design Awards. 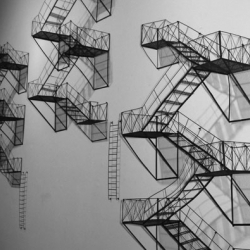 Small fire escape sculptures by Jen Spinner. Now this is cool. 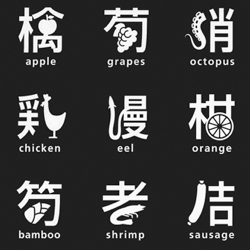 Japanese Designer Masaaki Hiromura merged Japanese typography (Kanji) with signs or food symbols. 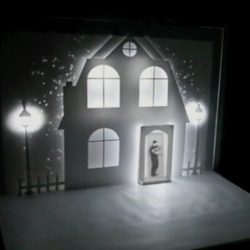 The Ice Book is a creative project combining, the pop-up book and video projection technics - Work directed by Davy McGuire and Kristin McGuire. 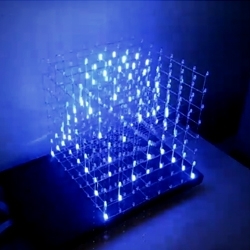 Create your own 8x8x8 LED Cube 3-dimensional display following this Instructable. 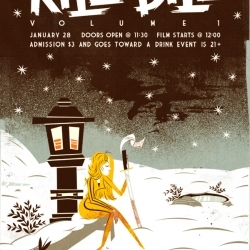 Illustrator Bobby O'Herlihy teams up with Geekadelphia and the Autumn Society of Philadelphia to create a redux vintage Kill Bill poster for Midnight Movies @ The Trocadero. The stunning new Pagani Huayra features a 700hp 6.0-liter V12 engine from Mercedes AMG and can hit 230 mph. The interior is chock full of the company's signature look of carbon fiber and exposed aluminum. 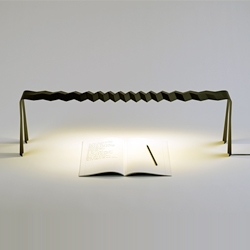 'Slim & Strong' LED table lamp by Delphine Frey uses haute-couture style pleated carbon fiber to obtain a rigid 1mm thick / 1meter long lighting object. 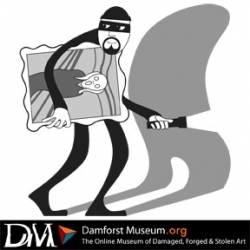 Damforst Museum is an institution dedicated to the stewardship of damaged, forged, and stolen artwork everywhere. Artist Kenny Scharf opened two new exhibits at the Paul Kasmin Gallery. 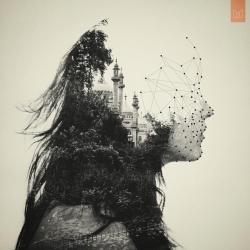 Dan Mountford is a british graphic designer and photographer. 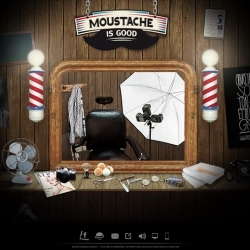 His work is made ‘in camera' with color edited in photoshop, vector overlay in illustrator. 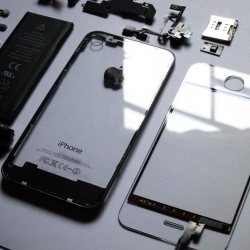 There’s still no official white iPhone 4, but here comes the transparent iPhone, that you can even DIY. 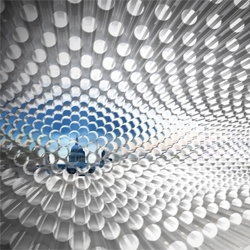 Telescape, another great entry in the 'A Room for London' competition. 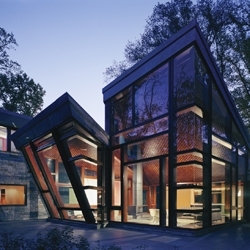 By Raw Architecture Workshop and Studio Integrate. 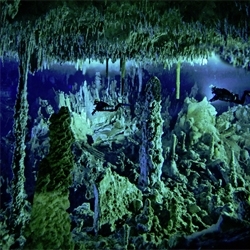 Diving Bahamas' blue holes (flooded inland caves) is number 13 on National Geographic's 20 ultimate adventures. 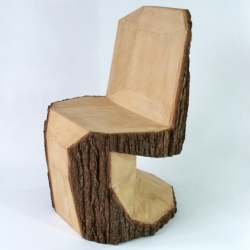 Peter Jakubik has carved the rough shape of an iconic Panton Chair into a tree trunk with a chain saw. Warringah Road House in Mosman by Corben Architects. 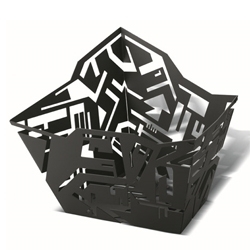 The Hellraiser series by Karim Rashid for Alessi, presented at Maison & Objet in Paris last week. 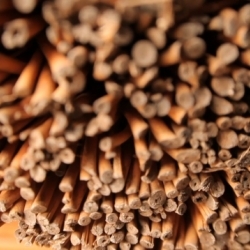 VIDEOMicro documentary on the chilean design and architecture office, made in MIMBRE. This was filmed in Santiago de Chile and Chimbarongo. 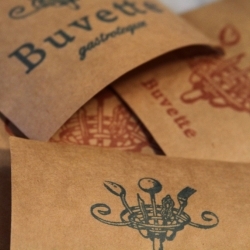 Very cool teaser and old school graphics designed by Max Poglia for Buvette, NY. VIDEOThe Street Art Communication Festival official short documentary. It took place August 16th-20th 2010. 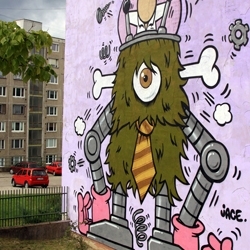 Over 30 large wall paintings done by 80 artists from 7 different countries. 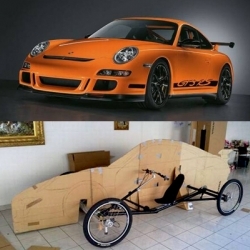 This is perhaps the most Eco-Friendly Porsche concoction to hit the streets! T magazine looks at a wide range of London maps. 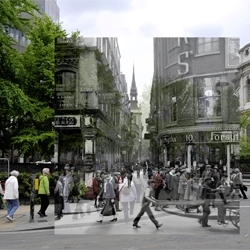 One of my favorites is The Time Travel Explorer, an app that overlays contemporary street maps on historical maps, to show how the city has changed. 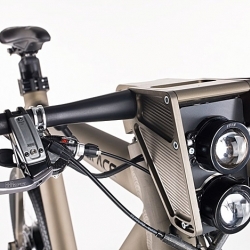 The Grace Pro Race is a sophisticated bike with a 1300W motor and a top speed of 45kph. It is a collaboration between designer Michael Hecken and Karl-Heinz Nicolai. 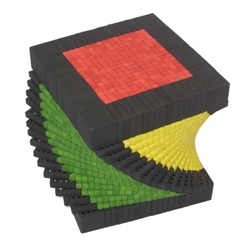 Over The Top, a 17x17x17 Rubik's Cube by Oskar van Deventer will be unveiled to the world at the New York Puzzle Party Symposium on Saturday Feb. 12th. 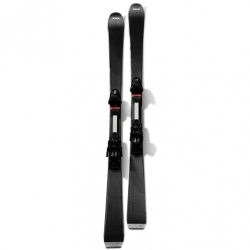 Audi Concept Design Munich has developed a carbon ski design that combines technology from the motor sports and winter sports industries. 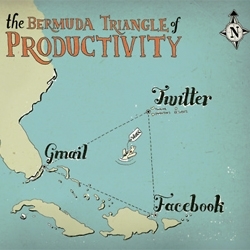 The Bermuda Triangle of Productivity - where all your time disappears. 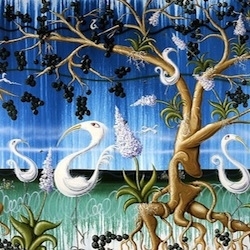 By Fuschia Macaree. 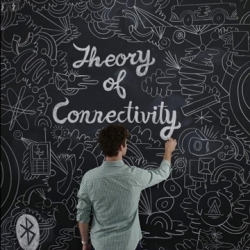 VIDEOWill Bryant and Adam Voorhes collaborated to create a stop motion animation for Bluetooth’s publication ‘Signature’ with art direction by Larry Williams of Pace Communication. 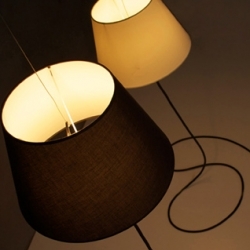 Ghost is a beautiful lamp that almost floats in the room. An idea from designer Tim Baute and his label Interror. 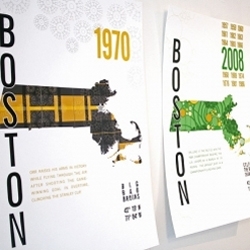 New series of graphic prints from JHill Design for the Boston Sports fan. Each print features a great sports moment from the Celtics, the Red Sox, the Bruins or the Patriots. 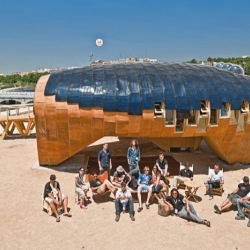 Metropolis is showcased by Lladró Atelier, under the guidance of Jaime Hayón. 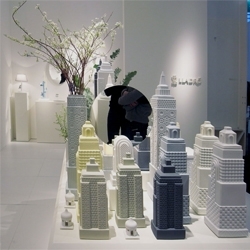 Vases, lamps, mirrors and boxes, all take on the shapes of buildings, forming a metropolis of functional objects. 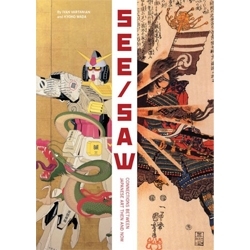 Connections Between Japanese Art Then and Now' offers a provocative new look at the origins of Japanese pop art and it is now available for preorder. 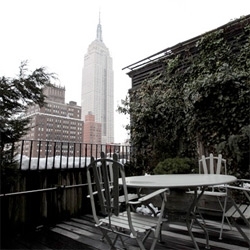 FEATUREDWhere will you be escaping to this weekend? Find out about these great destinations and more from NotVentures. Beaugars by Meike Langer is probably the ultimate almost-everything-is-in-here furniture. 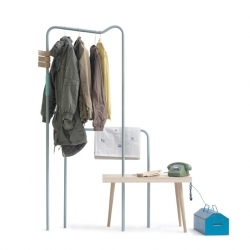 A storage solution for modern city dwellers. Stack It Exhibition at concept store Merci, in Paris. 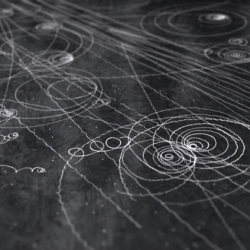 Curated by Jean-Luc Colonna d'Istria and Daniel Rozensztroch. 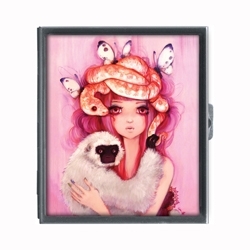 Camilla d'Errico's new selection of products in time for Valentine's Day include this cute vanity box. Glenbrook Residence by David Jameson is conceptually a courtyard inserted between two heavy walls. 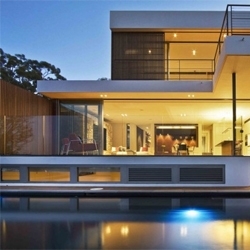 Outdoor rooms, a living pavilion, and distinct public/private spaces make this house really interesting. 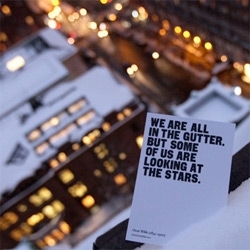 FEATUREDMorgans Hotel School of Life inspiration comes in postcards left on your bed... but i couldn't help shooting them all in the snow off the penthouse patio! 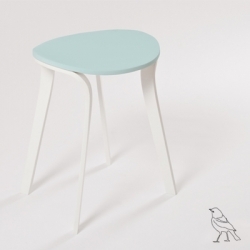 Ave, a stool inspired in birds’ flight, where the seat represents the body of the bird and the legs represent the bird wings in motion. By Moises Hernandez.